The summer season is the prime season for vacation time in Britain. With school out between June and September vacations are generally taken during July and August. Destinations run from the local seashore to international destinations. Britain’s favorite vacation location has been the seashore. 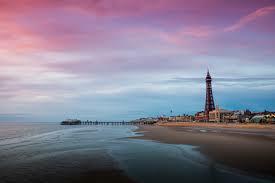 Perhaps the most popular is Blackpool. The big advantage is the many of the entertainment options it has to offer. In addition to the seashore, there is an operational double-decker tram. No wonder it is the busiest resort in all of Europe. 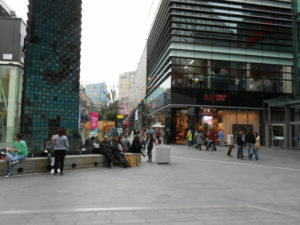 The area is beautiful at night when the area is ablaze with lights. The attractions such as the Ferris wheel and roller coaster can be seen for miles. Whitby is known for the abbey. Whitby Abbey is said to be the inspiration behind Dram Stoker’s vampire book Dracula. Events are scheduled throughout the summer and include Dracula as well as a Medieval Spooky Fun right before Halloween. Brighton is another British vacation spot. In addition to the beach, there are plenty of family activities. There are a number of museums that will entertain the kids. What kid could resist the Brighton Sea Life Centre with turtles and different fish species? Follow that with a visit to the Brighton Toy and Model Museum. There are thousands and thousands of toys from the 1800’s. Many British take-ups in the local sights during the July and August timeframe. 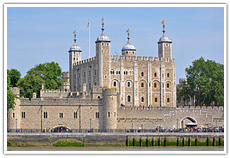 Rich in tradition with a 1000 year history the number one site is the Tower of London. It is the home of the Crown jewels and resided Royalty as well as Prisoners. The Highland House is located in Essex and has beautiful gardens and pretty architecture. When compared to the Tower of London it is young being only 300 years old. Climb the steps of St. Paul’s Cathedral and British history comes to life. The whispering gallery allows for a whisper to be heard 100 feet away. The Royal weddings, the state funeral of Winston Churchill all occurred here. St. Paul’s is old. It’s 1200. The number one international destination for British tourist (after Europe) is Spain. There are any numbers of destinations that will satisfy the entire crew. Two names are constantly mentioned. The first is Puerto Pollensa. The second is Menorca. Both are quiet and have excellent beaches. France is another popular tourist destination for Brits. Again the emphasis is placed on the beaches, especially Corsica and LLE De Ra. As with any French vacation, the wine tours, cooking Lesso, s, and shopping have to be considered. The British vacation typically occurs in July and August. The destination will more than likely have beach access either local or international. Local destinations include the Tower of London and St. Peter’s. International favorites are Spain and France. Recently some of the attractions becoming popular are Bodrum and Istanbul in Turkey. Some tourists do go to faraway places like India and Thailand as well. Counties in England – Information on all English counties with places to see and things to do in those counties. Tourist attractions in major towns, wedding venues, places for afternoon tea and caravans.